Just a quick compliment to our Pierre Balmain page regarding the gowns worn to a state dinner hosted by the wife of the British Ambassador to France, Lady Gladwyn, for Queen Elizabeth II and Prince Phillip on April 9, 1957. 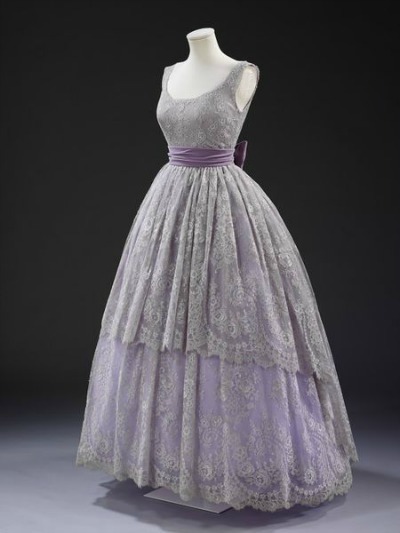 Lady Gladwyn wore a lilac lace and silk evening gown designed by Jacques Fath. It had a heavily boned bodice and a darker hued cotton and crinoline underdress. 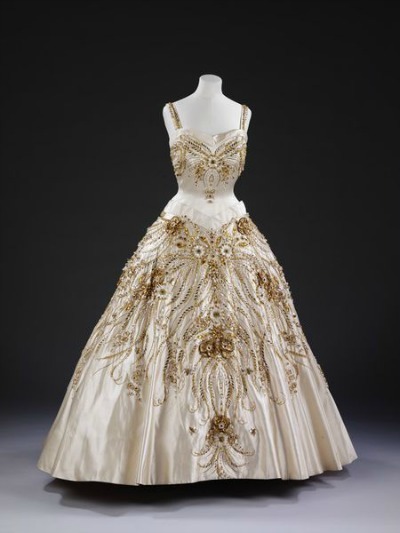 The full view of the gown worn by Lady Diana Cooper can be seen on our Pierre Balmain page. 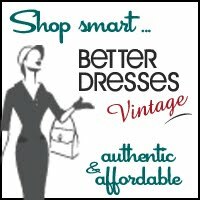 Featured below is a close-up of the lovely appliqued bodice of the 1957 Pierre Balmain designed gown. 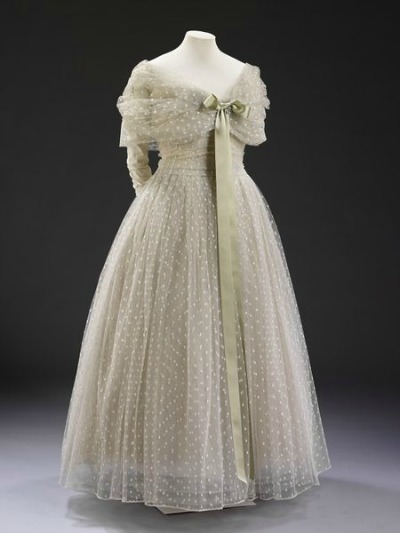 Baroness Alain de Rothschild wore a tulle and net evening gown designed by Christian Dior not long before his death. 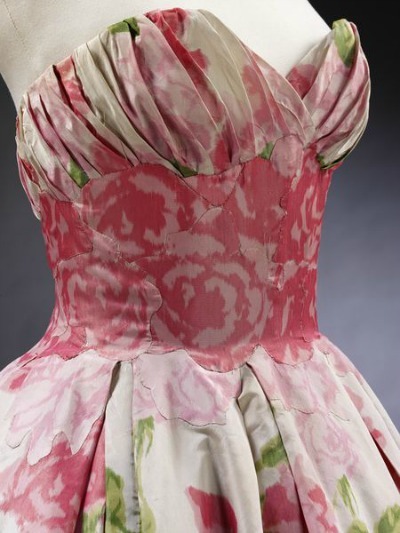 The gown's netting was of nylon and rayon and the bodice featured a satin ribbon and heavy boning. It was named La Ligne Libre. Queen Elizabeth II wore an evening dress designed by her favorite designer, Norman Hartnell. The ivory Duchesse satin gown was embroidered with pearls, brilliants, beads, and gold thread. The embroidery design included miniature bees, grasses, wheat, and wild flowers.